Before I get into this month’s list of new releases, I want to mention that I’m going to be taking a little bit of time off. I’m working on a retrospective of my three years writing this column that I hope to have published around Nerdapalooza in October (since it was the 2010 Nerdapalooza that prompted me to write this column). I was looking back at some of the stuff I’ve written, and some of the things that have happened as a result of my writing this, and I have a feeling it’s going to be a fun look back. 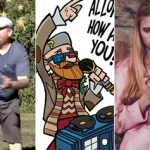 So, anyway, this month features new releases from several bands I’ve featured before, including comedy, a “best of” album, a new mixtape, and something sure to create nostalgia in those who grew up in the ’80s. And now let’s finally get to the music! 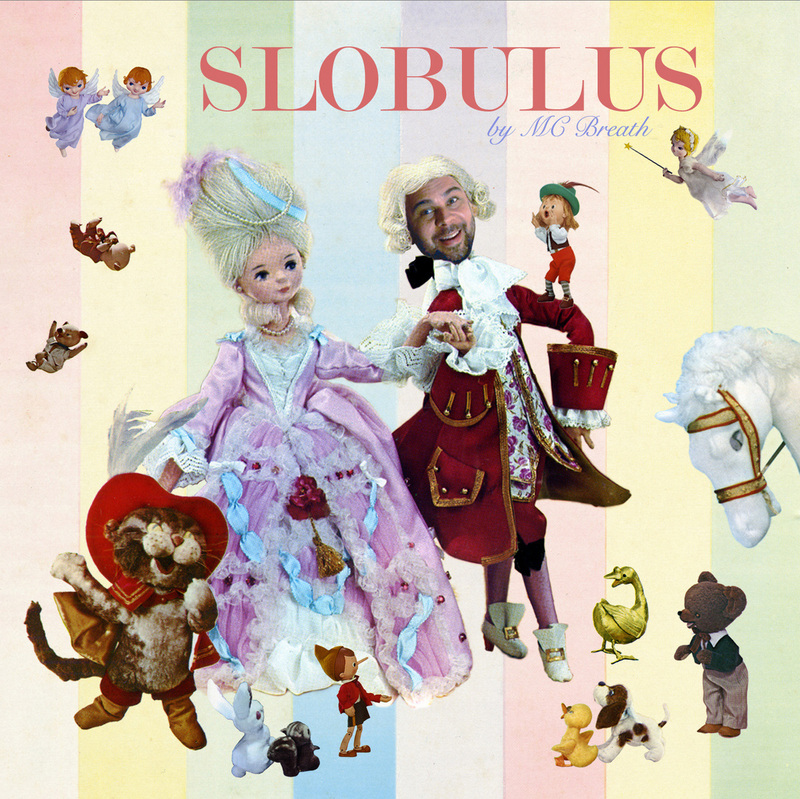 MC Breath returns with yet another humorous mish-mash of pop culture samples and oddly themed raps. I mean, how many people have songs about puberty (“Changes”) that use quotes from a song from The Brady Bunch and even The Dead Milkmen? And there’s also “Crystal Pepsi”, which uses clips from The Dark Crystal and the song “Crystal Blue Persuasion” to create a song about the now defunct drink. 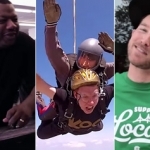 Not all songs actually include Breath’s rapping; “Old Folk’s Home,” for example, consists exclusively of various clips from TV shows (like Golden Girls and All in the Family) and commercials (most notably the “I’ve fallen, and I can’t get up” woman and Wilfred Brimley’s diabetes commercial). It works quite well as a rather insane description of getting older and going senile. But my favorite has to be “Al Roker.” Apparently Al Roker had a rather unfortunate incident while at the White House involving not quite being able to get to the bathroom quickly enough. Sure, it’s pretty gross, but the chorus sung by Breath is silly and yet also quite catchy. Finally, there are remixes of older songs done by Rodney Anonymous of The Dead Milkmen (in which he makes himself an alpaca out of a dog, a wig, and a little bit of glue), Max Low and Lemon Cookie of Runny, and DJ Nurrit. The whole thing is available completely free so go grab it now! 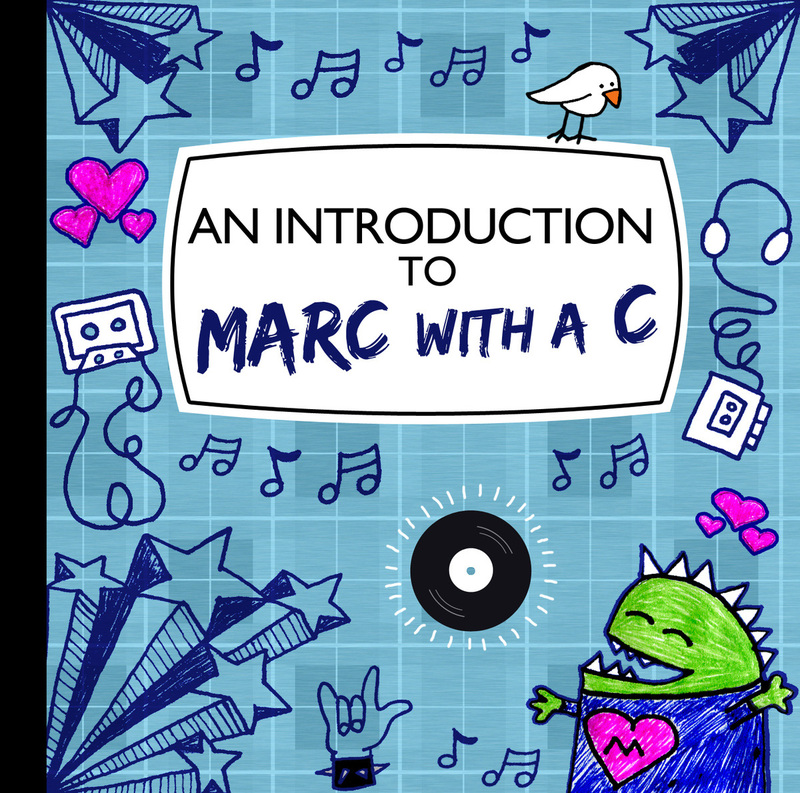 Marc with a C has been making music for a long time, and it can be difficult to decide where exactly to begin with his music. Recently Marc solicited input from fans to put together a “Best Of” compilation, and this is the result. Spanning Marc’s full career, the album serves as a worthy introduction. In short, this album serves not just as a traditional “best of” compilation (although it is that, with the track list picked by fans on Facebook), but also as an actual introduction to Marc with a C as a musician and a person. 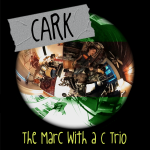 So do you need to buy this album if you own everything else Marc has released? Only if you want to support Marc, and, of course, if you want something to play for others to introduce them to his music. So, yes, I suppose you do. 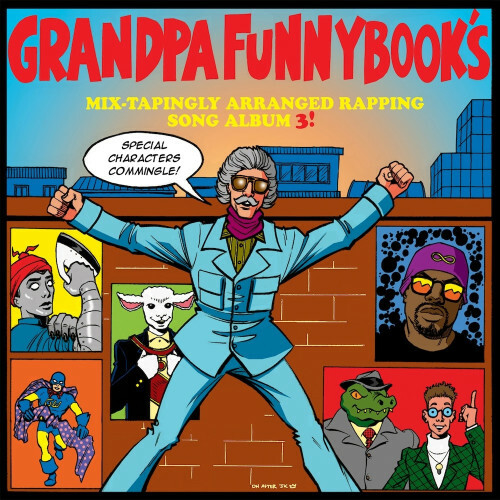 Grandpa Funnybook, the creator of all your favorite “special characters,” returns with more amazing rapping songs from many of your favorite nerdcore artists. This mixtape consists of “unreleased, soon-to-be-released, released and remixed songs with a focus on nerdy topics.” In between songs, Grandpa Funnybook (a clear parody of Stan Lee) reminds the audience of all of his best “special characters” like The Investigator (the crocodile detective whose sidekick is called The Hint Discoverer), Lambassador (the diplomatic animal from another galaxy), and Ironing Woman (truly the girl of your steams). Like all good compilations, this mixtape serves as an excellent introduction to a lot of different artists that I’m sure you’ll want to explore more. 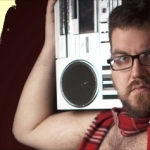 Stand out tracks on the album include “The Hell Outta Dodge” by Klopfenpop (featuring Beefy and Rook the Rhymer), a song about gunfighters in the Old West; several appropriately comic book themed tracks like Adam WarRock’s ode to Loki, “God of Mischief” and Primordial’s “Weapon X,” a track about Wolverine; and a TARDIS rap, “Bigger on the Inside,” by More or Les, which even incorporates sounds effects and music from Doctor Who. And of course I have to mention Jesse Dangerously’s terrific “A More Blessed Perfection” (featuring Mighty Rhino), a previously released track that’s just so darn good it deserves to be on all the mixtapes (well, OK, maybe that’s a bit of a stretch, but it’s still really great). The mixtape is available as a “Name Your Price,” which of course includes free. There may also be limited edition CDs available for $5 plus shipping, but hurry, there were only five left when I wrote this! Grab it in whatever form you want; you won’t be disappointed. I mentioned the three song sneak peek for this back in April, and now the full album is available. No surprise, it’s as good as expected. I admit it’s been an awfully long time since I’ve followed any of the G.I. Joe story, but I used to love the figures and the cartoon as a kid (well, actually, even up until I was college-aged). Hearing songs that invoke that time in my life certainly brings about the intended nostalgia, and ‘Burg’s vocals and lyrics just make it that much better. “Rap-Viper,” one of the three previously released tracks, is without doubt the stand-out track on the album. I always love when rappers use geeky metaphors to describe their own rap style, so a track that uses Cobra as its metaphor is of course awesome. Another particularly great song is “Rank and File,” a track with tons of guests rapping as various members of the Real American Heroes. It’s the one that probably invokes the most nostalgia in me since I owned quite a few of the figures of the characters mentioned. Similarly nostalgic is “Call Destro,” mainly because my younger brother’s favorite character was Destro. Yeah, he was usually Cobra to my G.I. Joe. 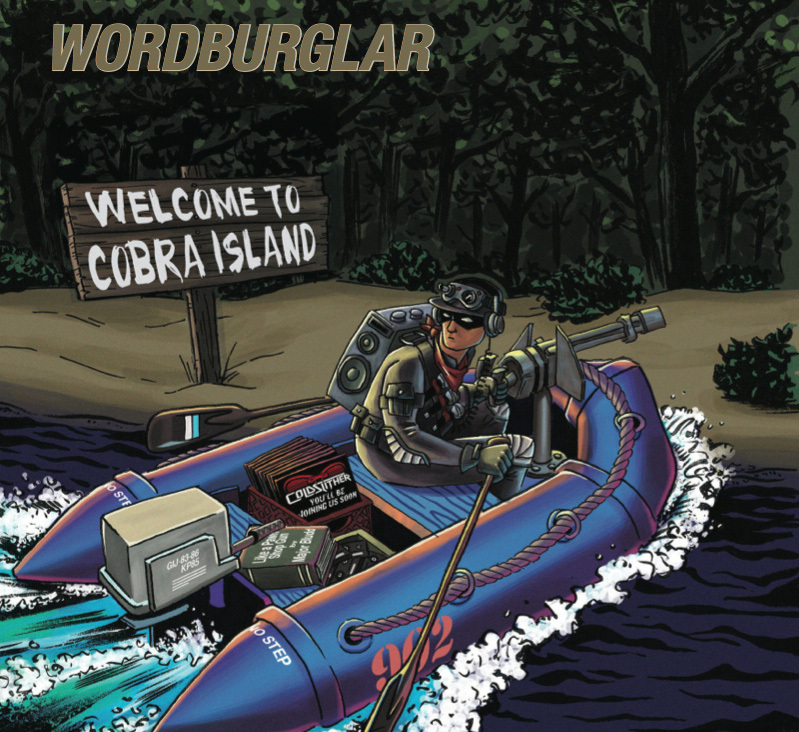 In fact, I bet he’d also like another stand-out track, “Venomous Ideology,” which is about Cobra Commander himself. If you’re a fan of G.I. Joe and Cobra, especially if you’re a child of the ’80s like me, then you definitely owe it to yourself to pick up this album. The digital version is “Name Your Price,” plus there’s a CD for $13 CAD which includes a booklet with lyrics and artwork.